Super 8 footage as well as original art and animation are interspersed throughout Anderson’s profound yet relatable series of thoughts in Heart of a Dog. | Image: Chan Centre. 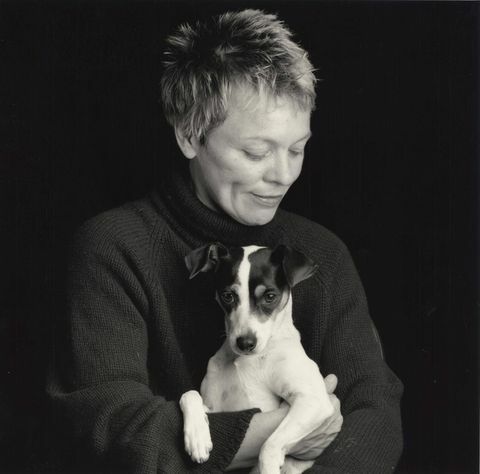 “I tried to make a film about things that are very sad, but with a lot of joy,” says Laurie Anderson about her documentary. Primarily starring her beloved rat terrier, and dedicated to her late husband Lou Reed, the film is a dreamlike tale of loss and love. The screening at The Cinematheque is presented by the Chan Centre as part of its outreach programming in conjunction with Anderson’s long sold-out live appearance at the Chan next week. Much of the activities at Party for the Planet are kid-friendly because getting kids to believe in a cause can make them life-long advocates. | Image: City of Surrey. BC’s largest Earth Day celebration at Surrey's Civic Plaza features performances by five-time Juno winner Sam Roberts, R&B group Star Captains, DJ/electronica act The Freshest, and others. The free event also includes scores of kids entertainers and activities, such as a zip line, enviro-bungee, rock climbing wall and bike-powered smoothies. A luxury train trapped in the Canadian Rockies has an even bigger problem: someone's been murdered. Join Vancouver TheatreSports at The Improv Centre to get to the bottom of the dastardly deed. The show is set in the 1930s, so audience members are encouraged to don their finest vintage wear. Insiders' tip: use the promo code MOTIEBOGO18 to receive two for one tickets to the preview performance Apr. 12 (offer expires at 5 p.m., Apr. 11). 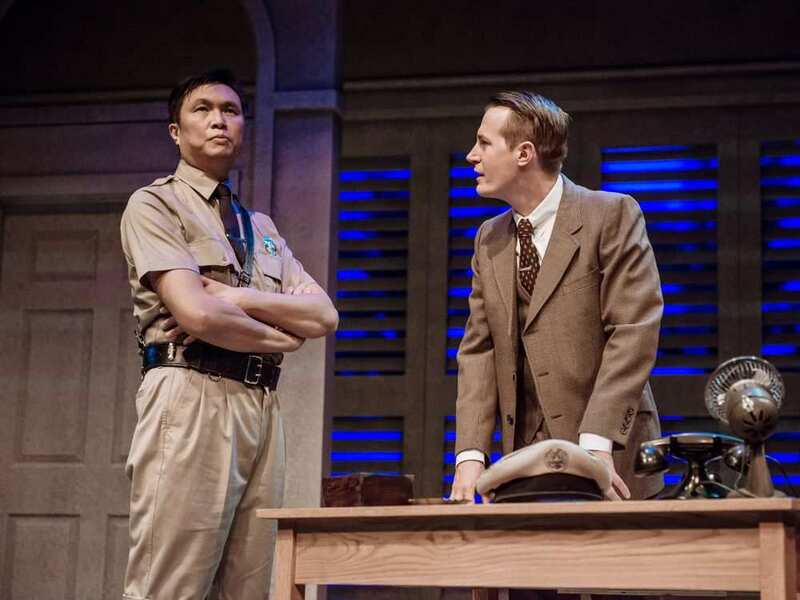 John Ng and Scott Bellis in a 2017 production of Nine Dragons. The detective story comes to the Gateway Theatre from April 12 to 21. | Image: Gateway Theatre. Artists display their video or other work using their own projector and everything is presented simultaneously across the walls of the VIVO studio space — all to the tune of a crowd-sourced soundtrack. Vocalist, actress and writer Onalea Gilbertson joins the Bergman Duo (presenters of this monthly series) for a cabaret-style performance of works by Bertold Brecht and Kurt Weill, including selections from The Threepenny Opera. As always, onstage seating, pre-concert chats and a table of treats will be offered at this intimate Cowichan Performing Arts Centre event. 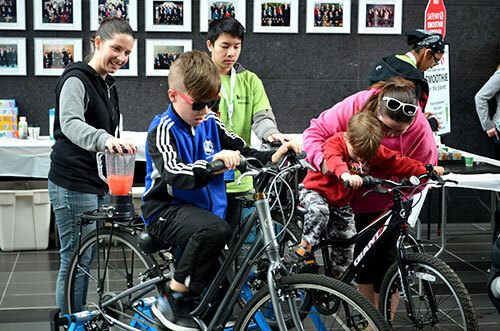 Volunteering builds “confidence, competence, connections and community,” say the organizers of the 15th annual event celebrating Canada’s 13.3 million volunteers. Check out the BC Alliance’s Volunteer Call Board for the latest arts and culture opportunities.